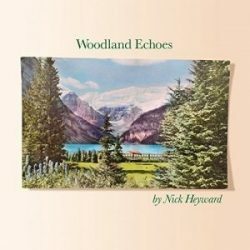 Those of you who still remember Nick Heyward from his days fronting Haircut 100 (humorously described in the press release as a New Wave group) may be surprised by this record, but anyone who has paid attention to what he’s done since won’t be. Ever since his first few solo singles like Whistle Down the Wind, he’s been moving away from the itchy pop funk that made him, the only echo of it here being the opening bars of The Stars. This record is full of naturalistic images. So thickly does he lays it on that he makes Thomas Hardy seem like Elmore Leonard. There’s the sound of birdsong at the start of Beautiful Morning, which unfolds like a flower welcoming the sun, then goes mildly rococo with the detail, bucolic 100. The sound of a storm greets the instrumental New Beginning – he’s no Jack Rose but it’s a passable and quite lovely use of acoustic guitar. Baby Blue Sky is a pretty good impersonation of Teenage Fanclub and Perfect Sunday Sun mines the same seam of pastoral power pop. He shows that the extremely sharp pop mind is still working. I Got A Lot and I Can See Her are consummately constructed pop songs, quite playful with his lyrics, embracing cliché and the obvious with a wink. He goes full on Americana for Mountaintop replete with jaw harp and fiddle and again it’s with cheek and charm that he dons the style – I imagine in the video there’d be gingham and buckskin. Heyward is one of those performers who have an innate sensibility about what sounds good, and can construct a melody and a hook from almost nothing.